“$2550 / 2br – 885ft2 – 2 Bed 1.5 bath ENTIRE house AMAZING LOCATION deck balcony yard! 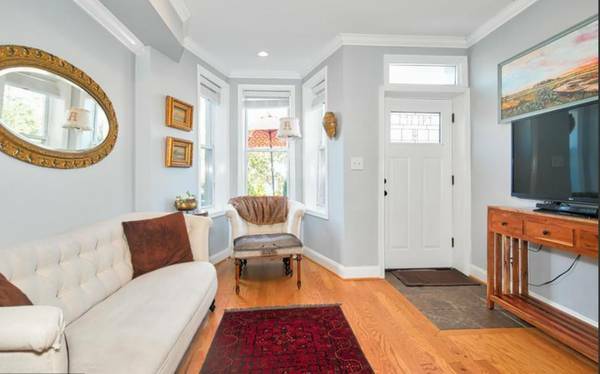 Newly renovated classic row house off booming H Street Corridor has great light, wood floors, crown molding, new HVAC system. First floor features open floor plan, half bath, and large kitchen w/ stainless appliances, granite counters, lots of cabinets. Upstairs has 2 BRs, full bath, and charming balcony. 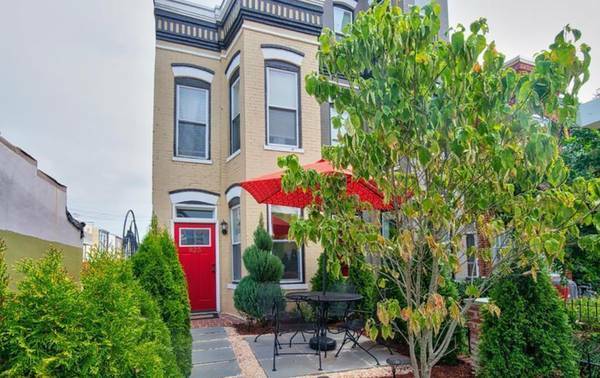 Front yard incl patio perfect for dining al fresco. Rear patio on 1st floor and deck on 2nd floor. – Front bedroom has tall ceilings, bay window, full size bed, decent sized closet, ceiling fan, lots of light. – Back bedroom decent-sized closet, ceiling fan, and a private balcony. – There is a closet in the upstairs hallway for storage. One year lease, flexible on start date; can sign lease and get keys any time between December 22 through Jan 2. First month will be pro-rated by day. Even if you can’t move in until after Jan 2, I would like you to be able to sign the lease and get the keys by Jan 2. Photos show the house furnished, they are about a year old when I purchased the property, a couple are new, I have added the front storm door and inside is freshly repainted beige/cream color. This house will NOT be furnished but some furniture/stuff is available for sale, including a new full-size bedframe and mattress, inquire when you come to view. I own this house and am an experienced responsive individual landlord. I care about my property, the neighbors, and want happy responsible tenants. I am looking for 2 tenants to sign a 1 year lease (after that, month-to-month) for this property. In the past, I have had good tenants, they were happy, I did not raise the rent, and they stayed a couple years, I am looking for similar scenario. I will contact you. I will be showing the apartment this week and next, evenings, starting this week.